Battery Collection or Drop-Off for #Guelph Starts Oct 15th! The City is collecting single-use alkaline batteries at the curb from October 15-26. A battery collection bag will be distributed to residents in the Guelph Mercury Tribune newspaper on Tuesday, October 2. Free battery collection will take place on blue cart collection days from October 15 to 26. Residents can also bring used batteries to City Hall, Guelph Fire Headquarters or the Waste Resource Innovation Centre for recycling throughout the year, during regular office hours. 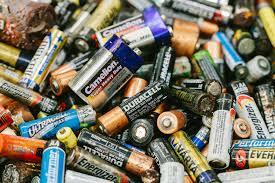 Safe disposal and recycling of batteries prevents soil and water pollution that can occur if batteries are disposed of improperly and recovers over 90 per cent of a household battery’s components, including metal, carbon and manganese. This annual program is a recommendation from the City’s Solid Waste Management Master Plan, and supports the City’s efforts to meet its waste diversion target of 70 per cent by 2021. ← #Guelph Financial Credit Rating Results Are In – And They’re Solid!